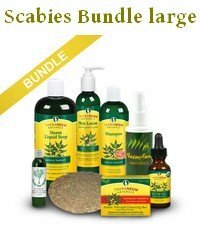 This page describes four different studies that examine the treatment of scabies mites with neem. In Indian Ayurvedic medicine the traditional natural treatment for scabies is a neem paste with turmeric. 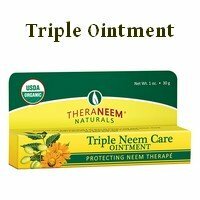 In a pilot study from 1992, researchers used this neem paste (made of one part turmeric root and four parts neem leaf) to treat scabies in 814 people. Patients were given a scrub bath, and then the neem paste was applied over the whole body and left to dry. 97% of the people were cured within 3 to 15 days. In the case of localized infections patients were cured in 3 to 5 days. For severe cases, where the whole body was affected and a secondary infection was present, it took 6 to 15 days to heal. In the 2% of cases where treatment failed the reason seemed to be irregular application of the scabies neem paste. That is a very strong and convincing result. The researchers also noted that they found no toxic or adverse reactions to the scabies neem treatment at all. 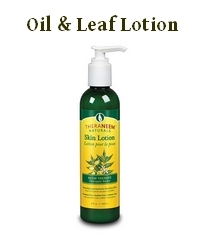 In another experiment in 2006, the patients used a lotion containing neem leaf extract. The lotion was spread on the affected area, and in all patients the scabies mites and symptoms disappeared in three days. This was not a clinical study. Treat it as anecdotal evidence. In the sheep study the researchers compared a crude aqueous-methanol extract of neem seed kernels with ivermectin, a medication also used for scabies treatment in humans. It took the Ivermectin 10 days to clear all mites from the sheep, and 16 days to completely cure the clinical mange. 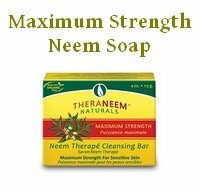 The Neem extract took 16 days to clear the mites and 20 days to completely cure the condition. So it took a little longer but ultimately worked just as well as the toxic medication. That any neem treatment will take longer to work than the usual knock down pesticide is clear when you understand how neem affects insects and other pests. The study on dogs comes from Egypt. This time the researchers used a commercially available anti louse shampoo with neem. Ten dogs were given a daily wash with the shampoo for 14 days. After seven days, four dogs were totally free of mites already while the others showed great improvement. After the 14 days eight dogs appeared completely cured and only a small number of mites was found on the other two dogs. Promising results overall or what? 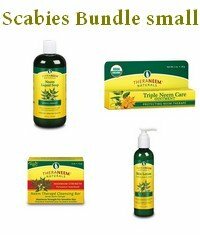 Neem Scabies Treatment: what is scabies and how is it treated? Parasitol Res. 2008 Dec;104(1):145-8. Abdel-Ghaffar F et al. Neem seed extract shampoo, Wash Away Louse, an effective plant agent against Sarcoptes scabiei mites infesting dogs in Egypt. J Ethnopharmacol. 2008 Jan 17;115(2):284-7. Tabassam SM et al. Efficacy of crude neem seed kernel extracts against natural infestation of Sarcoptes scabiei var. ovis. Lancet. 2006 May 27;367(9524):1767-74. Heukelbach J, Feldmeier H. Scabies. Trop Geogr Med. 1992 Jan;44(1-2):178-81. Charles V, Charles SX. The use and efficacy of Azadirachta indica ADR ('Neem') and Curcuma longa ('Turmeric') in scabies. A pilot study.